Since the first federal census in 1790 showed that New York was a larger city than Philadelphia, some people of the City of Brotherly Love have felt like they are in the shadow of their neighbors 90 miles to the north. Philadelphians have many reasons to be proud of their city. Founded in 1682 by William Penn, Philadelphia would be unique among many American cities at the time for its religious tolerance and its orderly street grid (which would be replicated north of Houston Street in New York after 1811). The city is famous for being the birthplace of our country: home of Independence Hall where the Declaration of Independence and the Constitution were approved. Philadelphia is also known in this era for its most famous son, Benjamin Franklin. From the foundation of our country to today, Philadelphia would become a major industrial center, attracting people from all over the country and immigrants from all over the world. Although Philadelphia and New York may style themselves as rivals, there is more to bring them together than meets the eye. Philadelphia is a major port at the confluence of two major rivers—as is New York. Both cities have colorful histories—especially in their politics as they were both led by powerful political machines during much of the 1800s and early 1900s. 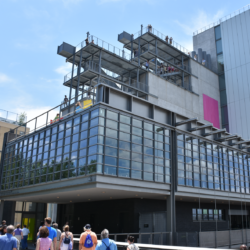 Each city also has a statement museum: the Philadelphia Museum of Art and the Metropolitan Museum of Art. 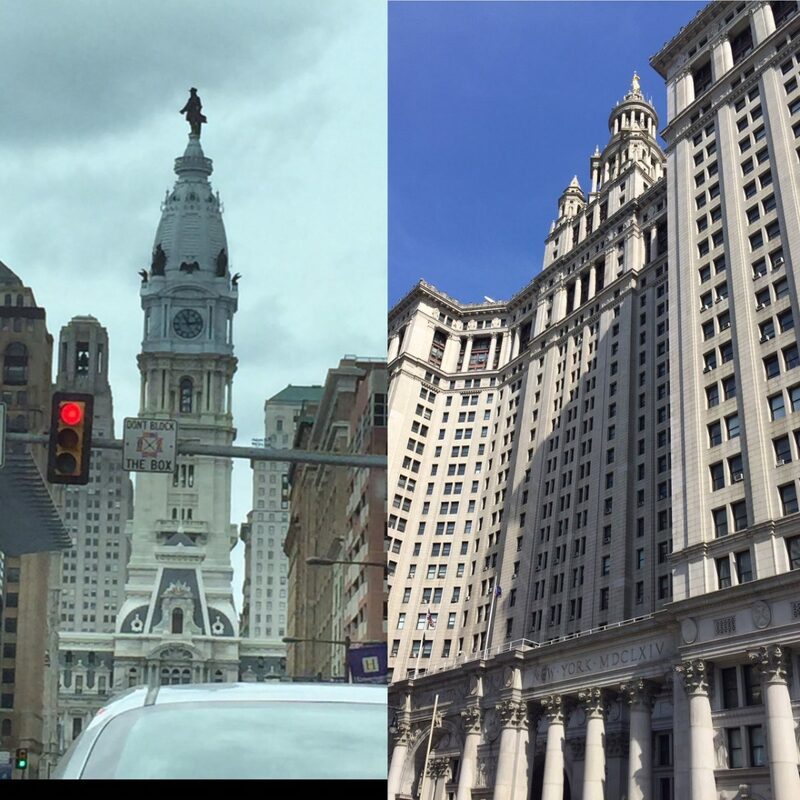 While Philadelphia was late to the skyscraper race (an informal agreement prevented buildings higher than the city hall for over fifty years), Philly has been making up for lost time with several tall buildings of note. These include One Liberty, which was inspired by the Chrysler Building. In addition, both cities are sites of an Ivy League University: the University of Pennsylvania and Columbia University, yet also contain a multitude of other high quality universities. Although New York may have a bigger Chinatown than Philadelphia, Philly has a bigger Little Italy in South Philadelphia in and around the Italian Market. Both cities also share a fierce devotion to their respective sports teams. One Philadelphian who should be beloved by modern art fans is Solomon R. Guggenheim, who worked to build his modern art masterpiece museum in New York. There are many other similarities between these two great cities. If you are from Philadelphia, you can request a special tour to see sights in New York with significance to Philly on a Sights by Sam tour.